Speak Schmeak: 12 Speaking Challenges for 2012 launches January 2! 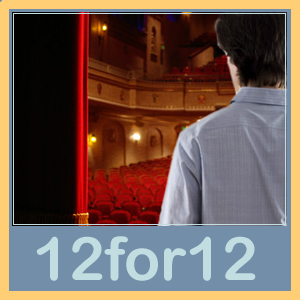 12 Speaking Challenges for 2012 launches January 2! Wouldn't you love to radiate confidence as a speaker? Whether you're onstage, in a staff meeting, or mingling at a networking event, confidence is often the difference between being heard and remembered, and being forgotten the minute the meeting is over. How do you build confidence? Through baby steps. Through careful planning and preparation, embracing your uniqueness, trusting your gut, trying new things, getting out of your comfort zone, learning from missteps and acknowledging accomplishments. All of these aspects of confidence will be addressed in my program, "12 Speaking Challenges for 2012!" Join my Facebook community and follow the monthly challenges through my blog posts and discussions for FREE (Lite program), or go more in depth with a monthly support call, motivational e-mails and downloadable handouts in my Full program. Whether you speak for your job, your business or your favorite nonprofit organization, building confidence is a must. And if you're stuck in a rut, doing the same thing over and over, wanting to break out of boring old habits, but feeling anxious and afraid, this is the place for you! Each month's challenge will tackle a different aspect of speaking, although most will not actually involve any public speaking! I will offer several levels for each challenge, so that whether you speak regularly or infrequently, you can still participate at your own level each month. This program is about getting you ready, so when the speaking engagement comes, you'll face it with courage and excitement! Join my Facebook group here for both Lite and Full versions of the program. Register for the Full program here.